Cut perfect circles in foamboard from 1" to 6" diameters with the FoamWerks Foamboard Circle Cutter. The center depth indicator shows blade progression for board depths from 1/8" to 1/2". 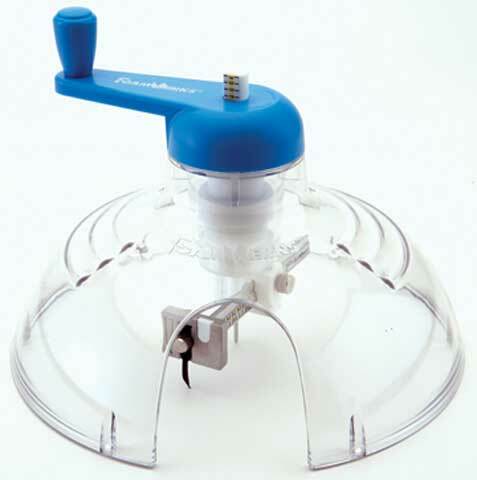 It features a dual inch/metric rail, a centering pin, a magnetic blade slot and a clear acrylic safety dome. The circle cutter includes five blades and replacement blades WA-5 or WA-25 are available.